From today don't be surprised if the person making announcments on your London Underground commute sounds a little familiar. 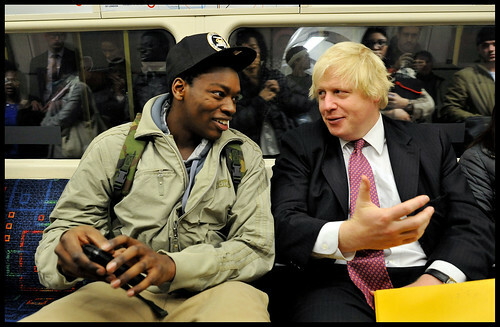 Boris Johnson has recorded a number of Tube announcements designed to help us plan our travel during the Olympic Games. In one of the recordings he says: "Hi folks! This is the Mayor here. This is the greatest moment in the life of London for 50 years. We're welcoming more than a million people a day to our city and there is going to be huge pressure on the transport network. Don't get caught out. Get online and plan your journey at GetAheadoftheGames.com"
The messages come as Boris tries to get employers to finalise their Games plans and communicate them to staff. In a press release he says "This summer will be a hugely exciting time for London, and with a million extra visitors a day to our great city, our roads and public transport services are going to be exceptionally busy, and journeys may take longer than usual. "So it's vital that businesses and Londoners don't adopt a 'wait and see' approach and play their part in putting on a fantastic Olympics." Listen out for the announcements on your Tube journey. There's a slim chance TfL might have got him to make a couple of more familiar announcements, such as "Hi Folks, It's the Mayor here. I'm told that there are a variety of miscreants operating on a number of carriages throughout this marvellous transport machine. Please be sure to keep your bags, laptops and other valuable items closely on your person at all times, as we do not want these opportunists making off with your possessions. Don't get caught out. 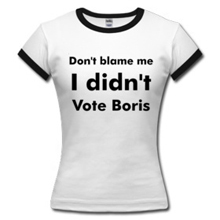 Thanks, Boris". One can only hope.